Come one, come all! Children's World Day offers fun for the whole family! Free entry! 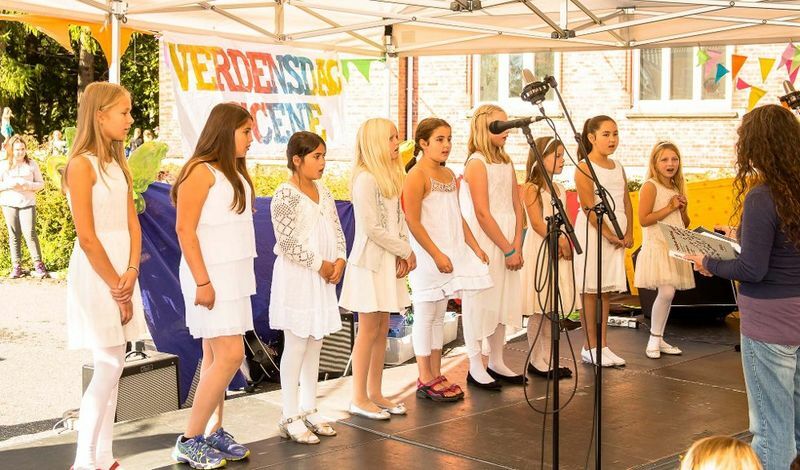 Children's World Day in Ås is a free, one-day family festival. It is a colorful meeting place showcasing cultures from around the world. The whole family can join in our unique workshops and taste food from many corners of the world. You'll find us in and around the Ås Arts and Music School, Old Åsgård, and Midtgard (The address is Bankveien 1 - 3). Welcome to an active day filled with scents and sounds from around the world. The program for Children´s World Day 21.september 2019 will soon be updated. Watch this space!! 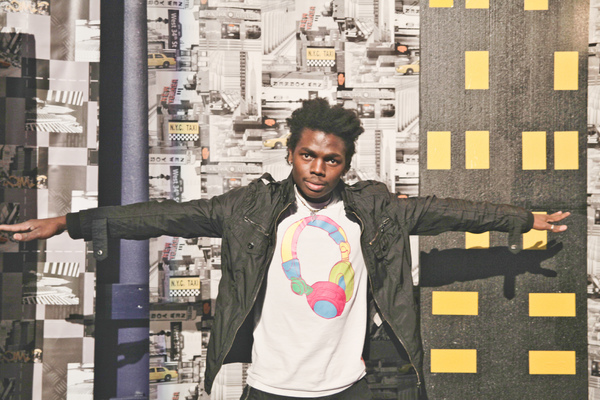 Herbie Skarbie, a charming and charismatic dance teacher is ready to teach you some cool dance moves.With a mix of African traditional dance and street dance, moonwalking and arse shaking, this workshop is guaranteed fun. Herbie Skarbie learned to dance by looking at his own shadow from the light of a light bulb in Kampala, where he lived in Uganda. He had no dance partner, just the light bulb. There is also probably no doubt that Michael Jackson has been one of his greatest influences. Where: Room 114, Ås Arts and Music School. Come and dance with Laila! Tahitis dance is from the island of Tahiti and other Pacific islands. It is danced with lots of quick hip movements - the pusating rhythms of the music will surely carry you away! Hula dance is an important part of the Hawaiian culture. Traditionally dances portray myths, stories, important events and personalities of the archipelago. The movements are soft and the hand movements illustrate what the songs are about. The dance provides mobility, better posture, richer musicality and much pleasure! In Cuba music is heard everywhere. On the street corner, in the cafes, on the bus, at the beach, and at school. Sergio and Raciel have grown up with these rhythms all around them and the beat has become a integral part of them. They invite you to a conga, the Cuban variant of a carnival parade, with dance, song and lots, lots of rhythms. 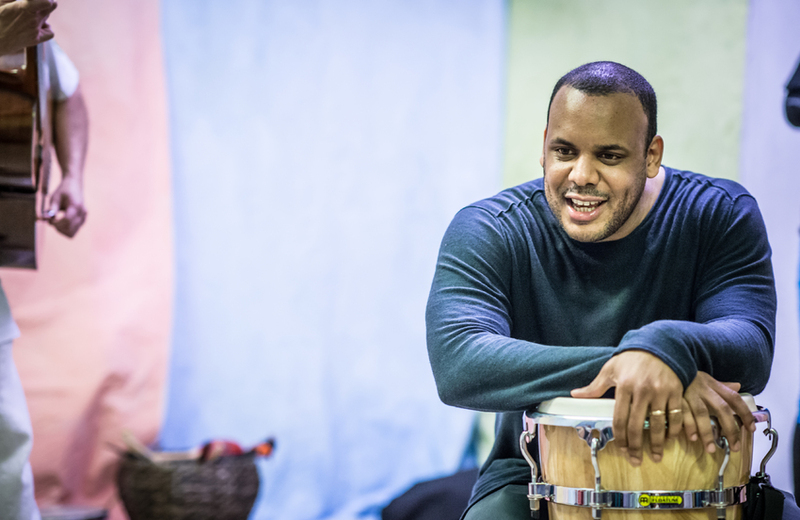 La Conga is connected with energy and joy, so let your inhibitions loose and join the Cuban rhythm orchestra. For centuries, kites have had great value in terms of culture, religion, and entertainment all over the world. Hundreds of Kite festivals are hosted all over the world. Ajaz became world champion in kiteflying when he, in 2017, sent 1003 kites 2.7 km up in the sky - on one string! 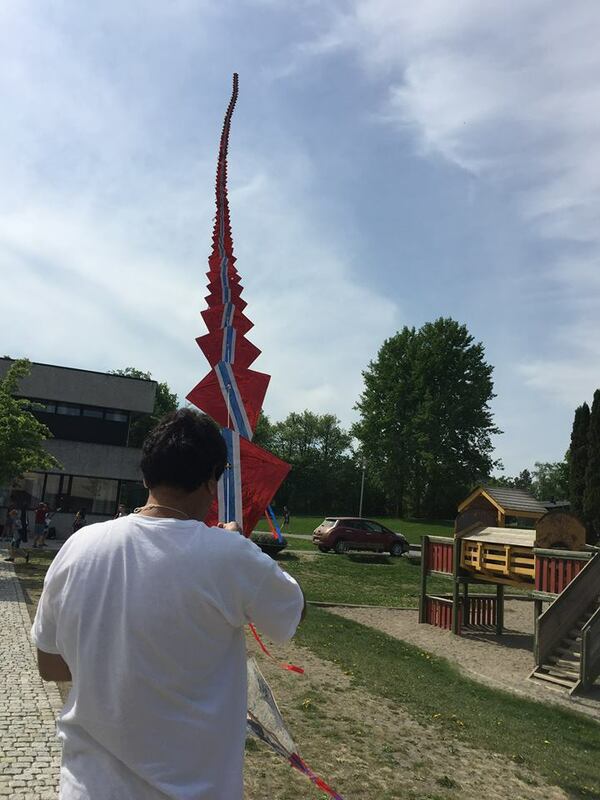 On the 22nd of September he is coming back to Ås to teach children and adults how to make kites.Come fly kites with Ajaz - this will be fun! Welcome to our Sensory Room. Here you can visit both an igloo on an ice sheet, and a beduin tent in a desert. Place: 2nd floor. Old Åsgård. 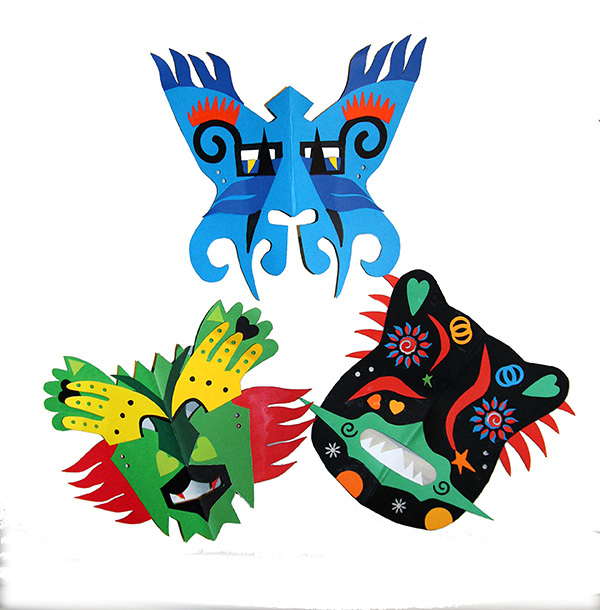 Makeyour own color-wrapping mask out of cardboard with the Mexican paper artist Jonas Roman Cadena. Make your own werable art! BOOK & BUN AND YOGA SPECIAL! Welcome to a Book & Bun + Yoga Special! Tori Alstad specializes in barneyoga. 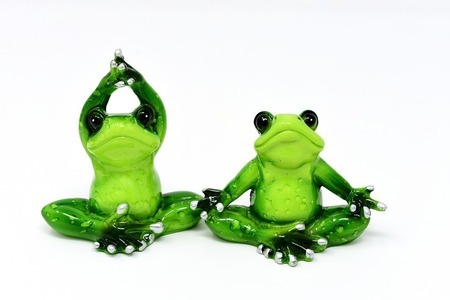 During yoga story time she associates different elements from the story she tells with different yoga exercises. That way, we become physical participants in the story whilst learning yoga. Suitable for children from 4 years of age. More info is on the way. 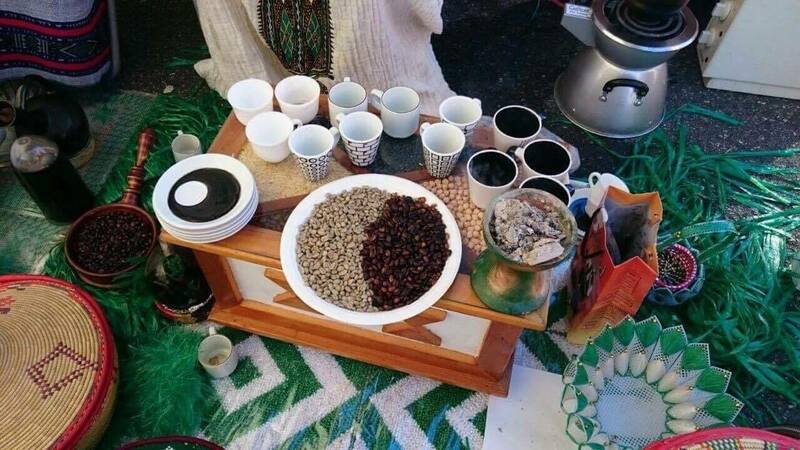 Coffee is an everyday drink in Ethiopia, but it is also a ceremony. Every day, the family gathers around the table to make coffee in a particular way. Now the people in Ås can taste and experience how fresh coffee is made from scratch. On Children's World Day in Ås you can taste traditional coffee or purchase traditional food and cakes from Ethiopia. Sudan! Tanzania! Indonesia! Suriname! Ethiopia! You will probably be hungry from all the fun - but no worries! As usual, it will be possible to buy delicious food from the food stalls. We are so grateful that there are so many arts-interessed people in Ås :) On the World Day Stage you will see a whole bunch of them! Updated program on the way! WE NEED YOU AS A VOLUNTEER! Ås is the world for a day when we arrange our annual free family event Children's World Day. In order to accomplish it, volunteers are needed. Our international food market always needs new contributors. Is there an activity outside? Are you good at henna or face painting? Do you like to do art and crafts and have something to learn - usually with a little international feel? Then we would like to hear from you. As a volunteer on one of our activities, the main task is to ensure that the visitors gets a good experience. The tasks may be to help groups in / out at a time or help children get started with the activity. Volunteers on activities will also help with the demolition and cleaning of rooms when the workshop is completed. You will of course get a good introduction to the activity that will be in the room. The day is devoted to the international, and Norway is also part of the world. Do you have anything to show up on the stage, please feel free to contact us. Here we need someone who can help down the workshops and the patio, carry equipment down the basement, and clean the area.